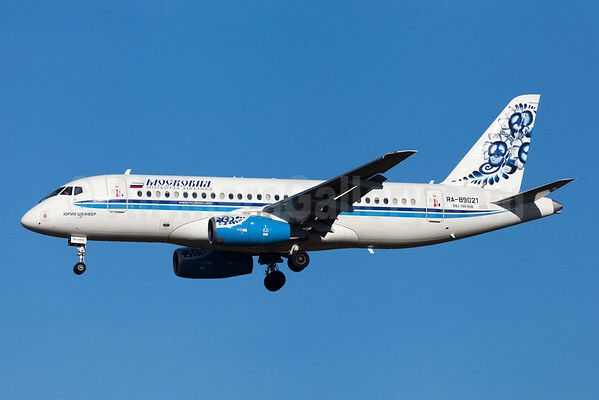 Alrosa Avia (Alrosa Air Company) (Alrosa Airlines) (Alrosa Mirny Air Enterprise) (Moscow-Zhukovsky) is planning to add this former Sky Airlines (Turkey) Boeing 737-800 on lease from GECAS. This will be a new type for the Russian charter airline. Currently the airline is operating Tupolev Tu-134s and it is also wet leasing a Boeing 737-76Q (VQ-BEO, msn 30293) from Yakutia Airlines in a different two-tone blue color scheme. Sister company Alrosa Mirny Air Enterprise (Mirny, Russia) was founded by the Russian mining company ALROSA (ALmazy ROssil SAkha Trade Company), hence the diamond logo. Alrosa Avia commenced operations in 1995. The group currently operates 10 aircraft types. In 2008, the fleet was expanded with the Tupolev Tu-134s and Tu-154s. The fleet now comprises 41 fixed wing aircraft and 29 helicopters. 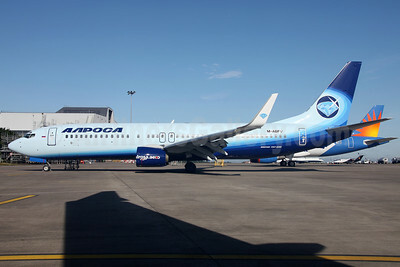 Alrosa is also introducing this new “diamond” livery with this delivery. Copyright Photo: Greenwing/AirlinersGallery.com. Boeing 737-83N N302TZ (msn 32576) was delivered new to ATA Airlines on June 29, 2001. It would later fly with Gol (PR-GIC), Transavia Airlines (PH-HST) and Sky Airlines (TC-SKR) before becoming the current M-ABFV. The airliner will be delivered from Dublin as EI-FCH. This entry was posted in Alrosa Avia, Alrosa Mirny Air Enterprise and tagged 32576, 737, 737800, 73783N, Alrosa Air Company, Alrosa Airlines, Alrosa Avia, aviation, Boeing, Boeing 737, Boeing 737-800, Boeing 737800, DUB, Dublin, EIFCH, MABFV, moscow zhukovsky, transportation on July 29, 2013 by Bruce Drum.